The final album in a three album cycle. The drums were recorded at sPookY sounds (Stag) between December 2010 and February 2012 with overdubs added over the following year or so. 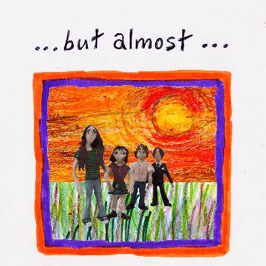 The album was mixed in Spring 2012, but the cover wasn't completed until January 2013. The backing tracks were recorded in a practice room at Yellow Arch in August 2009. The working title at that time was "the appliance of science." Overdubs were added at sPookY sounds on the HD24 over the following year and it was mixed between August and October 2010. The plan was for the resurrection to occur at Easter 2007, but it took much longer to achieve. The backing tracks were recorded at sPookY sounds on the HD24 over the Easter weekend in 2007. 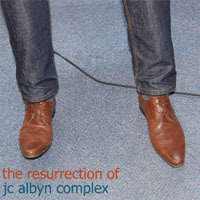 Overdubs were added over the next year and a half and it was mixed in October 2008.
jc albyn complex's lost album. It was recorded while Craig was away being a sailor. 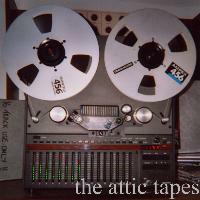 The original tracks were recorded on a B16 reel to reel in a practice room at Yellow Arch. 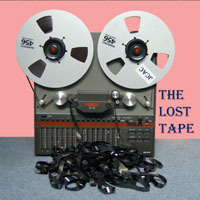 More tracks were added at sPooky sounds a while later, but as the B16 was dying the tracks were transferred to the HD24 hard disk recorder and then more overdubs were recorded. 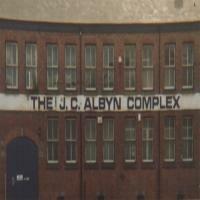 Although recording only took place on a couple of days between 2004 and 2006 it was not finally mixed until Easter 2008.
jc albyn complex contributed a rocky version of the ELEVATOR TO HELL song "My Head" from the album "Elevator To Hell parts 1-3" to this tribute album. It was recorded during the "disconnected" sessions. 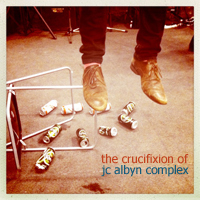 jc albyn complex's second ep. The backing tracks were recorded in a practice room at Yellow Arch on a cassette four track and then transferred to the B16 reel to reel. More overdubs were added at sPookY sounds a couple of days later. 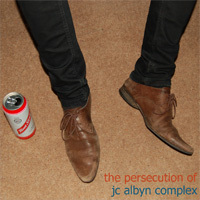 jc albyn complex's first ep. Recorded on a B16 reel. The backing tracks were recorded in a practice room at Yellow Arch and overdubs were slowly added at sPookY sounds over the next few months.